My bride and I poured a healthy chunk of our lives into Michigan. We loved our days with amazing people. Memories fill our hearts from events, victories, relationships and growth while in the Mitten State. Time marches on and our Sovereign God moved us to serve in another part of the vineyard. Yet, we both kept in touch with special people whose friendship proved itself over time. We wondered if we would ever get a chance to enjoy them face to face again. There were unexpected times when we would stumble across a picture, a memento or a souvenir from our days in the Great Lakes. We would reminisce. Often we would say to each other, “Remember when” and then we would finish the thought or even add to the others rendition. God has a way of putting a longing in our hearts. Then, in His mysterious ways He makes circumstances align so that we can fulfill that longing. He is very good to us that way. The Apostle Paul had this depth of longing to be with the Christians at Thessalonica. He even prayed that God would make it possible for him to make that journey safely, removing any obstacle that would impede that reunion. In his prayer he automatically identified that the Father and Jesus are both God. The grammar and vocabulary support this as a theological reality for him. Furthermore, this prayer is not relegated to secondary staff to carry it out but the Father himself is featured at the priority position of the request. Jesus is included with the title of Master, which is consistent with the acknowledging of His deity. In his petition he asked God to “clear the way” for this venture. Literally, this means to “make straight” a path. It is a metaphorical term that gives the picture of taking a winding road and figuratively pulling it at both ends so that it is now straight. Paul wants to enjoy their fellowship as soon as possible and not have any delays or obstacles spoil their meeting up again. The prayer of Paul is captivating. He is asking that God increase their love. This is one of those Kingdom values that can never be done in excess. Those who follow Christ should not just see their love grow and increase but it should overflow. An abundance of anything that is overflowing paints a rich picture of bounty. It fits what love, Christian love is. Nothing about this description is comfortable in solitary. Relationships make the difference. The application of love is all about being a blessing to others. No one is left out in the application of enjoying the abundance of love. Paul not only includes each believer but he gives a catch-all phrase just in case any else thought that they were uniquely left out. This may mean that even non-believers are to benefit from Christian love. Certainly, Paul interjects that he along with his fellow servants are loving them too. While these very special people were all about exercising selfless love toward each other and those who were not in the church, they still could improve. They needed strengthening in their spirits. Faith, one of the parts of that famous trio of love and hope, is a perpetual focus of development. It is a dynamic that keeps increasing until eternity is reached. There is nothing in this instruction about perfection. No one can reach that state because we are all human. Nor is it a process that has flawlessness as our goal. This term, “blameless” means that in an objective arena accusations that are thrown at us do not stick. The term “holy” does not mean perfect either. Rather, it means “called to a special purpose” that is, God has given us a divine directive to do His will. To be holy in His presence is to have been faithful in doing His will in our lives. All Christians look forward to seeing Jesus return in their lifetime. That eagerness is an expression of the love that dominates their lives. Someday all who belong to the family of God will see Him. Some will receive the privilege to be on the earth when Jesus returns, just as He promised that He would. When Jesus comes again, He will be accompanied by Christians who have already died and been in heaven. They will join Jesus for the great gathering with believers who will be taken directly to heaven. It is a mysterious and wonderful prophetic event to anticipate. LAPP (Life Application): Let love be a primary driver in your life. Be a responsible Christian at work and with all of your responsibilities. Yet, also look for the opportunities to love on the people that your routine brings your way. When you pray and request that God bless those who have blessed you, then, seek the opportunity to be with them in fellowship. Then, cheer each other on in anticipation of Jesus’ eventual coming again. We were out visiting College Station, Texas. It is a two hour drive NW of Katy, where we call home. It was a business trip. More technically it was a ministry trip. The drive is pleasant. It takes you through the rolling hills of central Texas. Fields of crops line both sides of the highway. Small burghs keep locals busy in various services and commerce. Summer had already settled into this community so traffic was light. We had no problem finding our locations and carrying out our responsibilities. Along the way we even made some new friends. Texas is a friendly state. I looked at the clock and estimated that it was time to make exit. If we left then, we could make the leisurely drive back to Katy, rest a bit, run our errands and make it to our evening service at Houston’s First Baptist Church. It was lunchtime so we picked a fast food restaurant to grab a bite before our journey. We pulled into one of the parking slots and ordered through the menu boxes that served each parking stall. During our pleasant conversation, I started to laugh when I noticed an advertisement on the wall right in front of us. The words in my mind screamed with laughter, “Really?” That was my reaction. The words are amazing but in a different context. For my whole life I have toyed with that tag line. It has been a part of the ministries that I have been in no matter what part of the country that I have served, these words spoke of eternity, grace, mercy, devotion, hope and faith. They really do not speak of the world of ice cream. Not really, right? 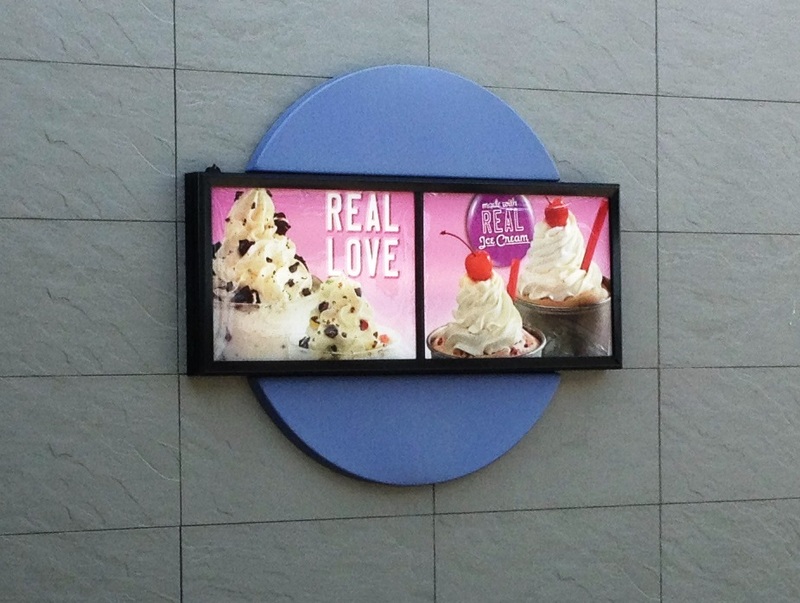 Ok, now that I have thought about it a bit in some semblance, I may be persuaded to consider the love of real ice cream as “real love”. In a fun sort of way this best dessert of all in any part of the world among any culture this confection is the best. We could even say that we love ice cream. As long as of course it is real ice cream. This may well explain what real love is all about even on the eternal level. It is an obsession of what is truly genuine. The day’s schedule was full. Like most I had every slot assigned to a project. Deadlines were coming up fast and they were neighbors with other freight trains barreling down the track. I was confident that I could direct traffic when these dates would eventually converge with the reality on my body. We call it multi-tasking. Others call “crazy”. The phone rang right in the middle of that day. A friend from my past called with a problem. That is usually a God-thing making if very clear that life is not nearly as busy as it could be. He was the headmaster of a Christian school a couple of hours away. Their Commencement Speaker was not able to fulfill his commitment. Something happened in his schedule and now my friend invited me to fill in the gap. Naturally, I accepted. We drove up to the venue. People were pouring in from all directions. Providentially, we had a great parking spot. The only soul in the entire gymnasium that we knew was the headmaster. He saw us, waved us down, thanked us profusely for coming and directly us calmly to the best place for us to be situated. High School graduation is a special rite of passage. 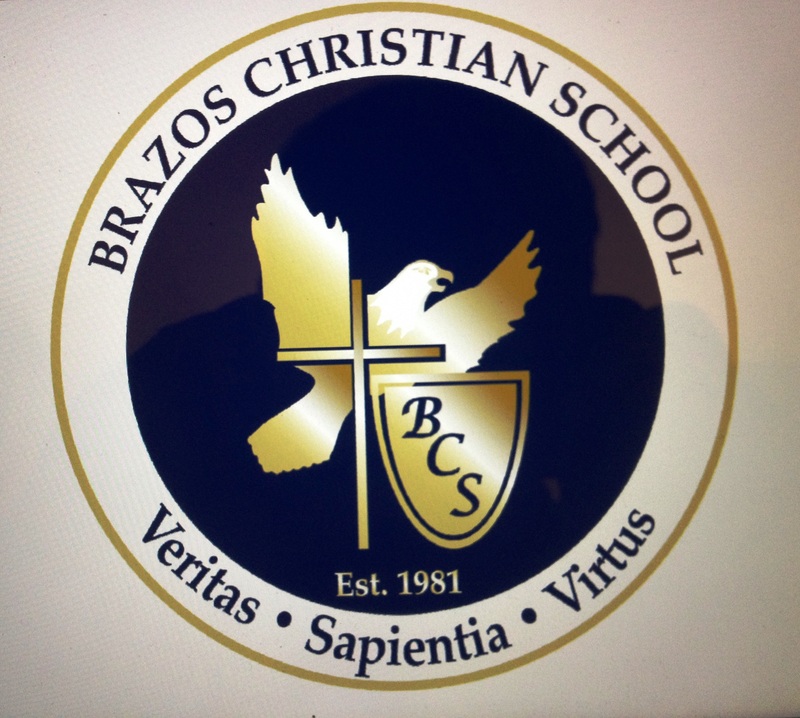 This school, Brazos Christian School did it right. From the worship music, to the awards, to the tribute to each of the 31 graduates, they did it well. I stood when I was introduced. My part was in the beginning of the program. What are people thinking when a total stranger to a very tight community stands in front of them and is about to take up a precious period of time in their celebration moment culminating in years of education and hard work? Most people were looking and listening with a fragile openness. When I was done, they applauded. I was delighted to enjoy the rest of the program with them. Each graduate had his or her achievements announced. Their contribution to school service, community leadership and awards were listed. It was very impressive. The conclusion for each brief introduction, the student’s plans for college were read. Texas A&M University was a common destination. Whenever that institution was declared, a “Whoop!” erupted from the audience. It is a treasured tradition. I came to this school for one special purpose. A need was there and I was delighted to fulfill it. I came as a stranger to hundreds. By God’s amazing grace I left with some wonderful friends. My traditional place was waiting for me. Repeated services like this had taught me what to look for when the cues were clear. I stood behind the pulpit and welcomed the handful of guests. No one smiled. Everyone was acting awkward. The few adult men pulled on their collars cinched too tightly because of a quickly tied necktie. Women sniffled with tissues tightly grasped in their hands. My first duty was to welcome everyone to the service. I read a eulogy. It was a composition created by the family. It traced the life of the man that we were honoring. His simple casket was suspended over an open grave. The lowering mechanism was silent for a moment. Once I gave the cue to the director, it would be lowered into the earth. The story of this man’s life seemed bigger than the crowd that had gathered to pay their last respects. There were about a dozen guests. Family members did not take note of the crowd size nor the elements of our simple service. There was an US military liaison present. He was not there to conduct the service. His only purpose was to direct the firing squad, instruct the honor guard and to present the US flag to the family. Everything else he made clear was in my jurisdiction as the presiding clergy. I was happy to do so. The family was strangers to me. A local funeral home had made all of the arrangements. It struck me that this loved one was a military hero of sorts. His exploits and long years of service were recounted in the eulogy that I was reading. It was moving to think that someone who had served his country in two major military conflicts was now being buried and I had the privilege of officiating his final farewell. The family could see that the life of their loved one was stirring me as I read the account. Several expressed their appreciation. I told them that I am happy to thank them. Taps was played on a recording by the liaison. The guns fired a salute. A folded USA flag was presented to the family. The service was over quickly. All of the military officials left immediately. The family lingered. I stayed with them. Finally, the family representative that I had been dealing with from the inception came to thank me. Sincerely, I thanked him for his father’s service to our great country. This is Texas. In Texas there is a style of dressing that does not cause a stir. More likely it is embraced and considered so common that it does not raise any eyebrows. Part of the local dress is Western wear. Jeans are common. Broad rimmed hats are a frequent part of the human scene. Even yokes on men wearing shirts or jackets are not unusual. Of course the accessories are there as well. A bolo tie is a popular choice among the men. Big belt buckles in shiny silver identify those who are proud to be Texans. Top on the list for dress wear in this amazing state are boots. It does not matter if a person is working, going to church or just kicking around, wearing a pair of boots is routine. Fashion experts know how to make this style work for all occasions in Big T.
I stopped by a Western apparel store a while back. My interest was a new pair of boots for casual every day work wear. All of my boots are for dress events. The ease of slipping on the boots and also the simplicity of kicking them off is terrific. On top of the beginning and the end of this remarkable footwear broadcast a statement of style. Yep, they look very cool. The Boot section was easy to spot. It was in the back part of the store where rows and rows of shelves were filled with boots. This store had their stock on the shelves, out of boxes, lined up for customers to view. Boot size was the overall category. You could stay in one area and see all of the different styles that would be your fit. The right boot was on the outside for you to examine. Its mate was behind it. My goal was to discover a black boot for every day work wear. I wanted a rubber sole or at least something not leather. My dress boots all have leather soles that do not do well in wet weather. The look needed to be casual but sharp enough to wear with my work day world of Dockers and Khakis. I tried on several pair. Comfort is key. You can feel it or not feel it as soon as the foot snaps into place. This my first pair of Ariats. They are perfect. Comfort is the first word that comes to mind. They look great. It is a world of foot wear that matches the joy of real living. Do you remember being deeply concerned about your children? They were away for a night out with their friends. Maybe they were away at camp for a week. Perhaps they spent their first sleep over with longtime friends. Fretting was uncomfortable. It wore on your patience. Your mind played through several scenarios and you did not like the feelings of insecurity. You did what every good parent would do. Your lip bled when you bit it, your spouse returned concerned glances and when they finally opened the front door and came in with smiles and laughter you were delightfully relieved. Silly worries were for naught. Love for others drives us to extend the comfort and concern of our spirit to surround those very special lives. True love wants to protect. It will and always will be that way. Yes, it makes us uncomfortable, but that is the nature of love. Paul felt that way about the Christians in Thessalonica. They were his spiritual children. He knew that they were in danger. Persecution against Christians was intensifying in that day. It was in fact a spiritual battle against the Tempter. The Apostle was so concerned about the state of the Thessalonians’ faith that he dispatched Timothy to check on them. He was starving for news of their spiritual well-being. Yes, the pain of persecution was a concern but he was more concerned over the strength of their spiritual faith. Timothy had returned with good news. Paul was elated that their faith remained strong. His investment in their spiritual lives was intact. There is no mention of their physical or economic condition. What was important was their spiritual health during a volatile and dangerous time. Their faith and love were the highlights of Timothy’s encouraging report on their condition. A bonus in Timothy’s report must have made the Apostle smile. This emissary brought up the personal relationship that he had with these people. They missed him. Timothy conveyed their strong desire to see him. It was a longing that was equally shared among them for each other. The ardent faith of the Thessalonian Christians encouraged the Apostle Paul. Also note that the intense desire for a face to face fellowship was mutual. Not only did Paul love them, they also loved him. Even through the hardships of persecution, knowledge of their mutual love gave the apostle strength to persevere through those difficult times. Paul was not simply stooping to hollow flattery. He meant it when he confirmed that the faith of these followers of Jesus gave him strength to weather the trials of great suffering. The joy in times of trouble was virtually indescribable to Paul. Experiencing God more deeply than ever was a result of his investment into their spiritual lives and witnessing the long lasting stability in their commitment. The apostle continued to pray for these dear friends. That spontaneous prayer was an outpouring of his devotion to them. The Christian life is simple. Once a person is born again by God’s grace through faith, a journey begins. It is a spiritual pilgrimage. This journey is about maturing in faith and bearing good spiritual fruit. Part of that fruit is impacting the lives of others. This impact is a mixture of being a witness for Christ and helping others grow in their new found faith. The lives of others make our life worth living. When we connect through a spiritual relationship and invest in each other’s lives, we gain something that money can never buy. It is a fellowship that defines who we are and what gives us the most satisfaction in life. LAPP (Life Application): Have you invested spiritually in the lives of others? Take a moment to check into their lives and ask how their walk of faith is going. Tell them how much they mean to you and that you are deeply encouraged that their faith is growing strong. There is no way that I am a qualified inspector of horse-flesh or any animal related to this category of animal. Clearly there are those who know these creatures to the finest details of pedigree, potential and track record. I am not even sure if I know what a good animal looks like. Yet, the love of other humans when it comes to these critters makes them magnificent. The sheer size of a full-grown horse is domineering when we tiny humans stand next to them. They are powerful. It seems that when they walk, their muscles ripple. While they casually stroll up to the fence, lean over the top rail and smell intently for a treat, they are curious and we humans are cautious. A grazing horse realizes that humans have approached. It comes galloping up to be with the rest of the herd. She does not want to miss out if carrots or apples are being passed out. Of course if the earthlings are bringing lumps of sugar, that would even be better. We are city boys so we have nothing to offer. The horses seem to realize the disappointment early. 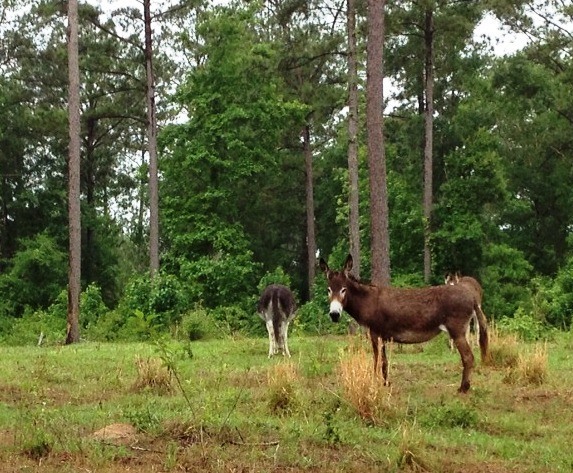 Back in the field, still grazing away unflustered by our visit are the trio of donkeys. They barely look up. One finally does and stares us down, more sizing us up to decide if we are a threat more than if we had brought anything of interest to them. Curiosity does not seem to distract them from the tender shoots of grass growing in the pasture. 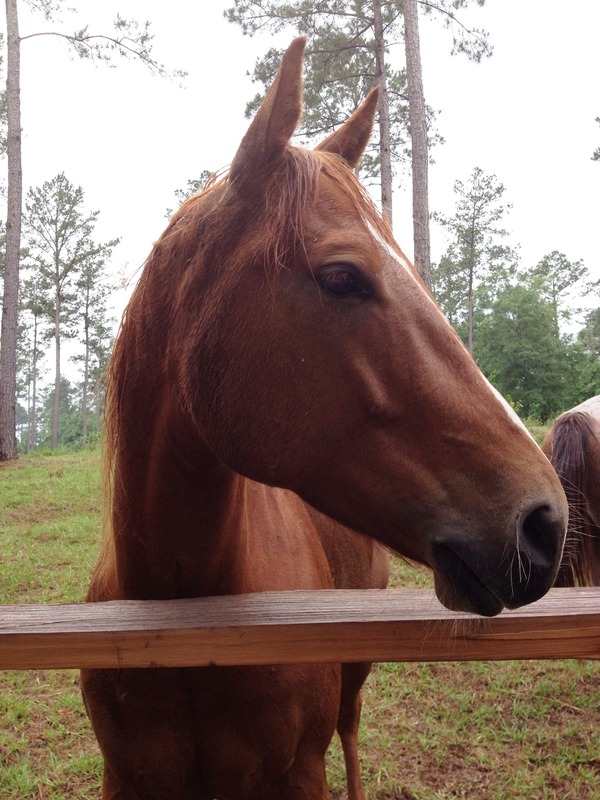 The giddy horses we quick to draw to close to people. These very different but somewhat similar animals share the pasture. Maybe they feel more complete with each other hanging out. There is enough pasture to separate, nevertheless they stay within a comfortable proximity to each other. I cannot tell if some are better specimens than others. The best that I can do is separate the horses from the donkeys and the donkeys from the longhorn cattle. I suppose that for a city slicker, that is not a bad distinction. While the finer details may elude me, I did stand and gaze for a long time. Admiring wonderful creatures is a very good thing to do. Horsepower, after all, is not just the estimated power that crowds under a vehicle’s hood. It is the picture of a powerful animal, just like the one standing before me. Baseball after World War II had a major change. 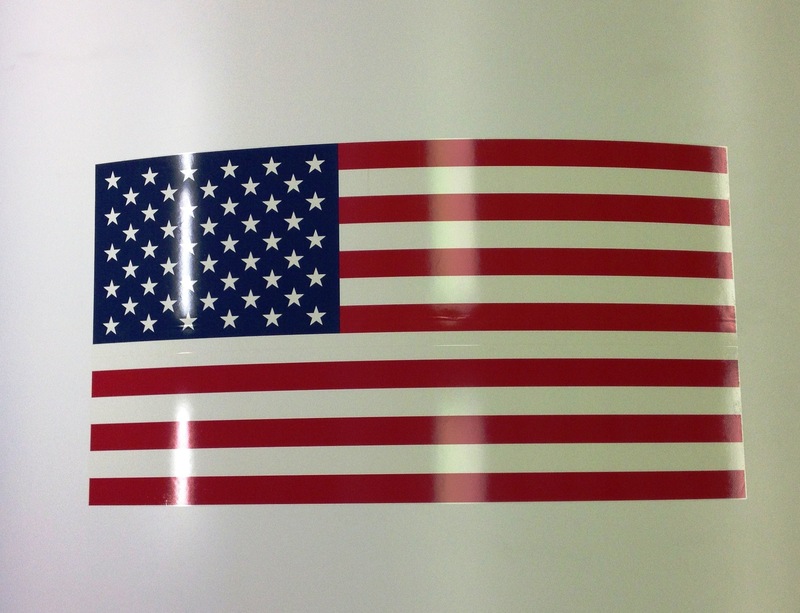 America, the world, had changed after that horrific war. People understood their mortality and took another look at their values. Branch Rickey was the team executive of the Brooklyn Dodgers. He loved the game of baseball. At least he used to love the game. He wanted to restore that passion again. Rickey made the decision to bring an African-American into the game. That would be the first time that the all white All American pastime would experience a break in the unspoken code of the game. He knew that it would take a special player. He and his executives went through piles of names. They wanted a player who could hit, run and field. This pioneer against the racist limitations of the day could not be soft, too nice or out-of-control with his temper. 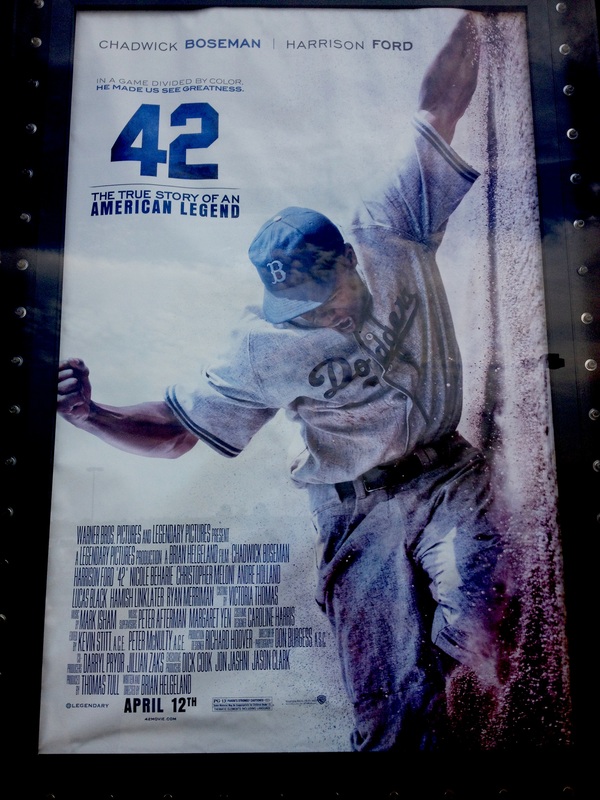 They chose Jackie Robinson. His baseball skills were excellent. He had a fire in him that could be the strength he would need to survive the hailstorm of abuse hurled at him from baseball’s constituency. This is a revealing conversation. It is at the heart of a truth in life that only a few understand. Fighting back is the world’s way. It is not the revealer of truth. Rather, in the hands of what is genuine, what is real fighting back rarely gains ground against prejudice. Instead, it usually loses ground because that reaction feeds biased opinions. It fuels hate and perpetuates bigotry. When Jackie is being stitched up from a vicious spiking of his leg, he asks Rickey why he chose to break the color barrier in baseball. Branch recounted his school years. An African-American teammate took a lot of abuse for his ethnicity. He had convinced himself that he had done all that he could to make a difference in that situation, but truthfully he had not. Now, he could make a difference in baseball. He could see that his decision was making a difference. Baseball was his love and now he could love it again. This was more than about a sport. It was about one of the world’s ugliest blights, racism and bigotry. If you have been a victim of this base practice, watch the movie and be inspired. The Twin Creeks Ranch has not seen rain for many months. Even the down pours in Houston have skirted these woods of the Crockett forest. This day would be different. Two special colleagues and I have planned a retreat. We serve together as the Executive Team of the Dallas Theological Seminary, Houston Campus. Willie is our Executive Director of Church Relations & Chaplain. Ben is our Associate Dean. I have the honor of filling the role as Dean. Together we run the institution. It has been a fast and furious year. This has also been our first year together. Now, after the commencement season we are going to take a deep collective breath, count our blessings, shore up our mistakes and plan for the future. A wonderful couple who great friends of the seminary have welcomed us to their ranch. We will stay their in a pristine environment and talk, pray, evaluate and plan. There will be fun times for play too. 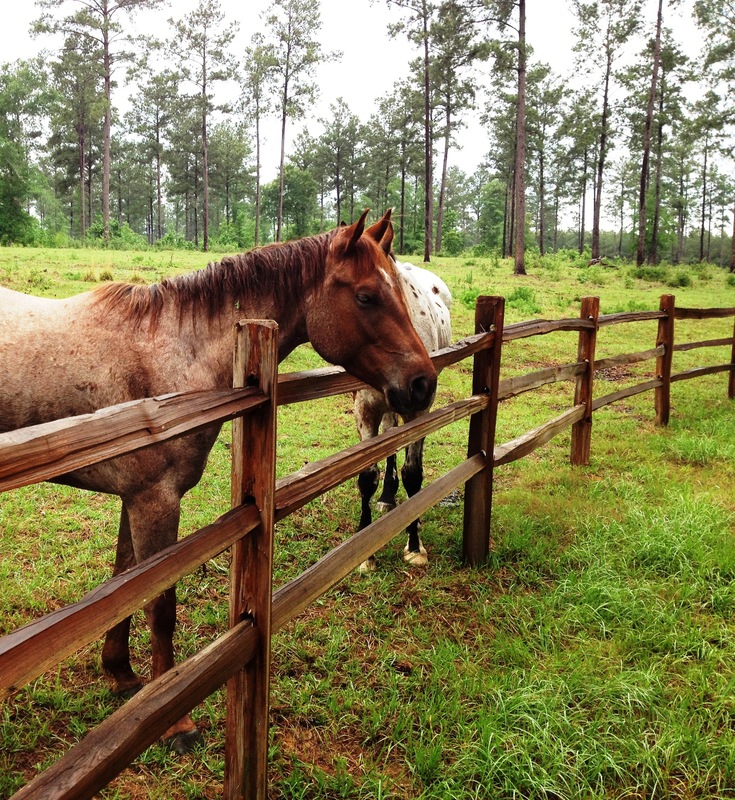 We drove to the ranch in the rain. Yes, after a long drought God decided to have us remember our first retreat with the first day of rain for this parched land. We would not be going fishing after all. The firing range would have to wait for another day too. All outdoor activities would be curtailed. Every item on our program would be ticked off. It made for some outstanding discussion. I could feel our team growing tighter as time passed. One thing that we did not scrimp on was food. We went out to Denny’s for breakfast before launching our venture. Together we shared what we were currently studying in our personal devotions from the Scriptures. It was a rich time of sharing. We hit the road and Willie prayed for God’s blessing on our retreat while I drove the route. God was hearing our united souls while on the road. He is the best co-pilot. 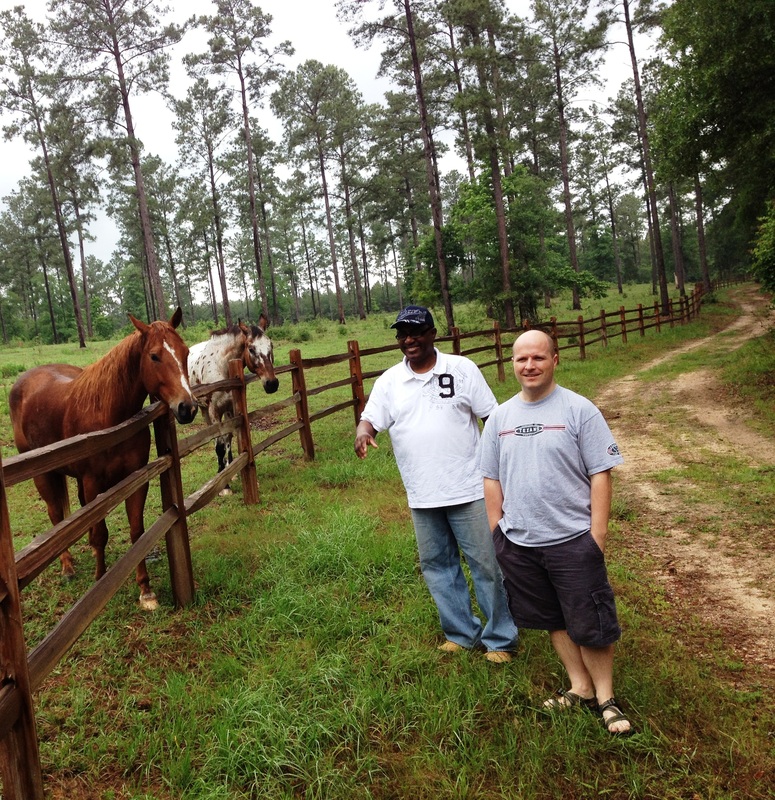 Once we arrived at the ranch, our hosts greeted us with warm smiles. They also had laid out a wonderful fare of snacks and beverages that kept us well fed until it was time to head out for dinner. We are getting very tight as brothers-in-Christ. Our analysis of the past year held nothing back. We rejoiced and puzzled. Our spirits were lifted and burdened as well. Together we experienced something remarkable. This is what team is all about. The weather in Texas has now passed the winter season. The low temperatures no longer visit the 30’s. Instead, they hover in the 70’s for a low. It is a sign that swimming in the neighborhood outdoor pool is a welcomed activity. When I drove into the parking lot, all was quiet. No one else was swimming. That has been the pattern during my visits last year. That beats the washing machine pool environment at the YMCA in Michigan that I so often laughed about in the past. There were regularly shared lanes with other aqua lovers. Collisions were common. Here the only sounds are the birds starting their morning flight. Occasionally, I hear a vehicle drive by the activity center. It was time to slip into the water for my season’s first swim. Like all swimmers, I dipped my foot in to test the temperatures. It was surprisingly pleasant. Nothing like cold waters to wake you up in the morning. The outdoor shower was a different story. Rules dictate that all swimmers must shower before entering the water. I am a respecter of rules. No one will ever convince me that the hot water indicator on the shower faucet is actually connected to any hot water source. It is cold! I jump in, holler, shiver and shake. Once I am layered I jump out and chatter my teeth. Climbing down the steps into the pool is a welcome warm-up exercise. Then, I fall in just to take the immersion all at once. My goggles fit into place and the world becomes clear again. Prescription lenses make swimming much more enjoyable. I push-off the wall. My aging body loves the sensation of floating without the pain aggravated by gravity. It has been months since I have swum. Now, like riding a bike, the motions of each stroke come alive as if they had never been dormant for a long winter. Oddly, I feel strong. The water is parting easily in front of me. Each stroke comes with neither pain nor fatigue. I am liking this sensation. Slowly, my heart rate is increasing. It will be sustained shortly. My breathing is timed with each of my strokes. The coordination between kicking and stroking does not need any concentration. It is a habit from years of being a water dog. The laps peel away as the sun rises in the East. Warm rays fill the pool and the temperatures rise noticeably. Finally, it is time to hit the shower. 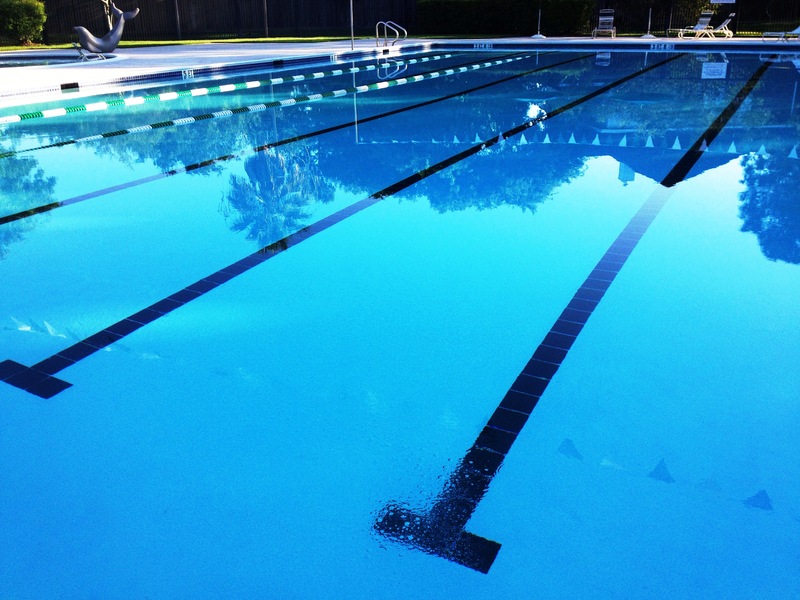 It is a very good beginning to another season in the pool of Cinco Ranch.